JYSK, one of the world’s leading furniture and home decor retailers, continues to invest in the Romanian market. 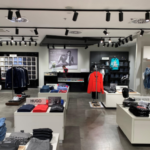 In August, the company opened its largest store in the town Brasov, featuring its new 3.0 concept, as well as a new store in the city of Braila. “The opening of the third JYSK store in Brasov is an important milestone for our company. This is our largest store in Romania and the first one under the 3.0 concept, which has already been implemented in Denmark and showcases the company’s products more authentically and creatively,” stated Iraida Paiuc, Marketing Manager, JYSK Romania. The 3.0 concept, which will be the blueprint for all new stores, is a thorough innovation offering customers more inspiration for interior design. 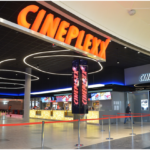 In addition to the better exposure of the products, the original concept emphasizes better lighting, beautiful fixtures and a more accessible overview of the stores. The idea was first implemented in 2017, in three new stores in Gothenburg (Sweden), Gdansk (Poland) and Holbaek (Denmark). With its second store opening in Braila, JYSK increased its retail network in Romania to a total of 62 units. The chain entered the local market in 2007 and had been pursuing a steady nationwide expansion since then, establishing a presence in all major cities. In the fiscal year end on the 31st of August 2017, JYSK Romania generated a turnover of over 78 million EUR (366 million RON), a 63 percent increase compared to the previous year. Its profit amounted to 11,6 million EUR (54 million RON). Within the South East Europe region, the Danish furniture giant is also present in Bulgaria, Serbia, Bosnia and Herzegovina, Croatia, Slovenia, and Kosovo. JYSK is an international chain of stores with Scandinavian roots that sells everything for the home. The first store opened in Denmark in 1979, and today has over 2,600 stores and 22,000 employees in 50 countries. In Germany and Austria, the stores are called Dänisches Bettenlager – in the rest of the world JYSK. JYSK is owned by the Danish businessman Lars Larsen, who owns multiple companies with a total annual turnover of 4.02 billion EUR. The company alone has a turnover of 3.36 billion EUR.